A stunning photo of a Birchington press officer on her wedding day will be seen by millions of people as it is displayed as part of the biggest exhibition of contemporary portraiture ever held. 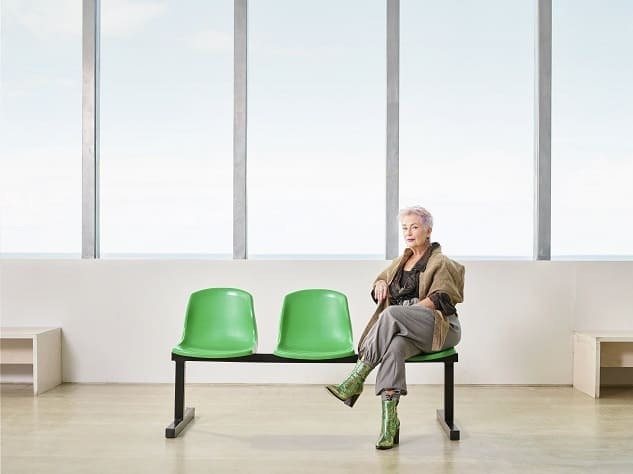 The image of Scarlet Drayson at Turner Contemporary is one of 100 being shown on JCDecaux screens nationwide, at bus stops, high streets and in train stations this month (September). 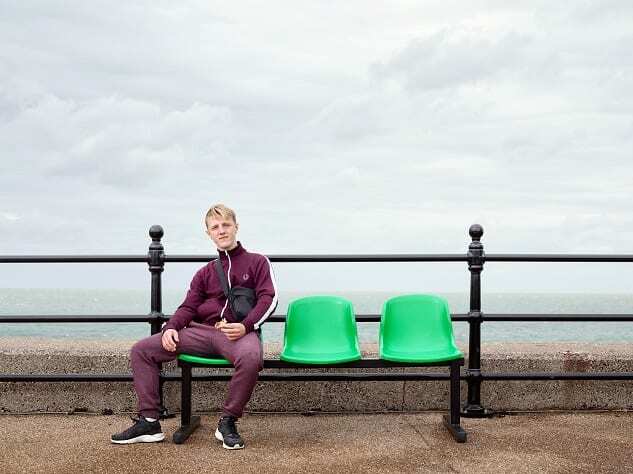 The photo, taken by Dylan Collard as part of an Ages Of Us project, was in the 100 winners selected from over 13,000 entries for the Portrait of Britain award 2018. The portraits celebrate the diversity and richness of modern Britain. Some 200 shortlisted images are included in a Portraits of Britain book, a new direction for the awards which have been running since 2016, and the 100 winners went on digital display this month. Scarlet, 38, was pictured at the Margate art gallery, which was the venue for her marriage to partner Blake last September. Photographer Dylan was also at the gallery with Dave Martin, from The Centre for Policy on Ageing, for the project, which looks at the process of ageing, the effects on our physical being and how our attitude, conscience, hopes, aspirations and desires change as we go through the stages of life. During the weekend of September 9-10, 2017, the project set up at Turner Contemporary, Ramsgate Leisure Centre and the Harbour Arm. In total 89 people were photographed, aged between 4½ months and 86 years. All were pictured on a bench, which was the constant of the photos, staying the same distance, angle and height to the camera at all times. In the left seat (to camera) are the 0-25 years olds, in the middle seat the subjects were 25 – 50 years old, and in the right seat those aged 50 and over. Each of the subjects were then ask three questions about their past, present and future which was transcribed by Dave Martin. Former journalist Scarlet said: “Last September I married Blake and we had our wedding reception at the Turner. Coincidentally the artist Dylan Collard was also at the gallery, taking photographs for his Ages Of Us project, and asked if we would sit for some pictures and take part in a short interview about our hopes past and future. We agreed and it became an another wonderful memory from our wedding day. 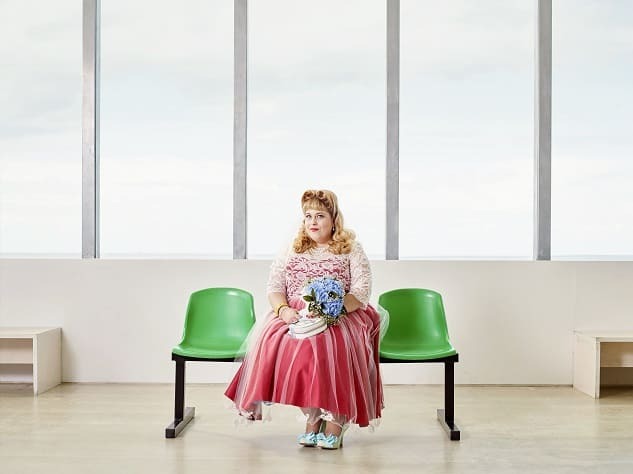 “Then earlier this year Dylan contacted us to let us know my portrait had been included in a shortlist of 200 for the Portrait of Britain 2018 competition run by the British Journal of Photography and would feature in a book. It was a complete surprise. “Last week it was announced the portrait was one of the 100 winners of the competition, and would be exhibited digitally throughout the UK during this month. “The stories behind these photos are fascinating – and it’s humbling and even a little bewildering to think a portrait of me has been selected out of 13,000 entries to be a part of that. “Sometimes in life, especially when growing up, people are made to feel bad for being different, perhaps having different views or cultures, or dressing or looking different to what is considered the norm. When organising our wedding I remember feeling worried and very aware I wouldn’t be seen as a traditional bride and perhaps ridiculed because of it. “I needn’t have worried, my wedding day was actually the best day of my life – marrying Blake surrounded by our family and friends in a fabulous venue and setting and we’ll be celebrating our first anniversary this week. “Even so, it’s mind-boggling to think a photo taken on that day is now in a book and being seen on digital billboards in high streets, train stations and shopping centres and helping to deliver a positive message about diversity! The project started with a trip to California in 2015 where the pair photographed and documented 165 people in 23 locations, travelling over 3000 miles around California. It looks at how age is one of the great and uncurable mysteries of science with nothing able to halt the inevitable destination. 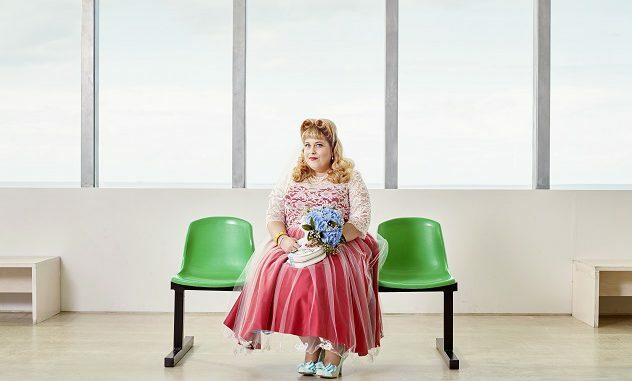 Turner Contemporary was the first destination for the Ages Of Us UK shoot and then it was on to Ramsgate Leisure Centre and the Harbour Arm in Margate, as well as eight different locations around West Yorkshire and the University of Kent. 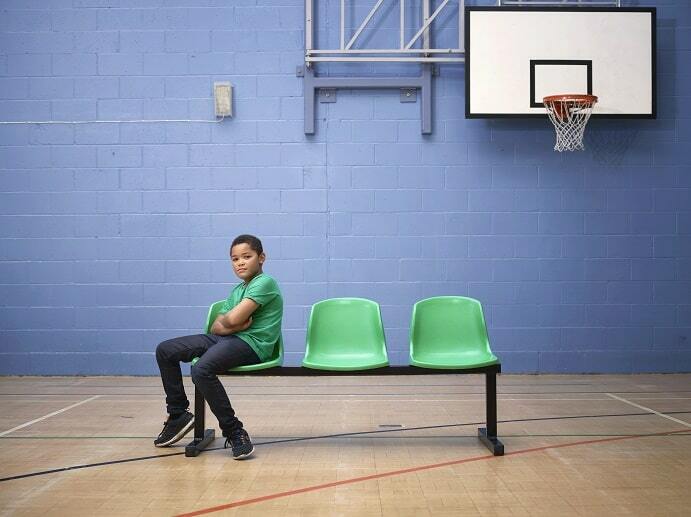 A photo taken at the leisure centre (above) for the project was also shortlisted for inclusion in the National Portrait Gallery Taylor Wessing Photographic Portrait Prize. The international photography award is organised by the National Portrait Gallery, London, and now celebrating its 11th anniversary under Taylor Wessing‘s sponsorship. The annual Taylor Wessing Photographic Portrait Prize is one of the most prestigious photography awards in the world and showcases new work that has been submitted by contemporary photographers. Four shortlist entries have now been chosen to compete for the top prize but 57 images will be displayed in the exhibition at the National Portrait Gallery, including Dylan’s photo, from October 18 until January 27, 2019. Dylan has also shot work for companies including The Discovery Channel and Adidas. The Ages Of Us bench’s next stop is The British Museum on October 6 between 11am and 5pm. There will be an exhibition of the work shot that day in the venue sometime in late November.